Sunbula is guided by the core value of empowerment of the most marginalized, focusing on poverty, justice, and supporting the development of Palestinian society. Through creativity and innovation, and with a deep respect for local heritage, Sunbula supports activities that provide income, preserve traditional skills and culture, and help sustain producer groups in order that they are able to provide for their communities. Sunbula will achieve this through a focus on the sustainability of the producer groups it partners with, including capacity training, product development, and increased market access, all based on fair trade principles. 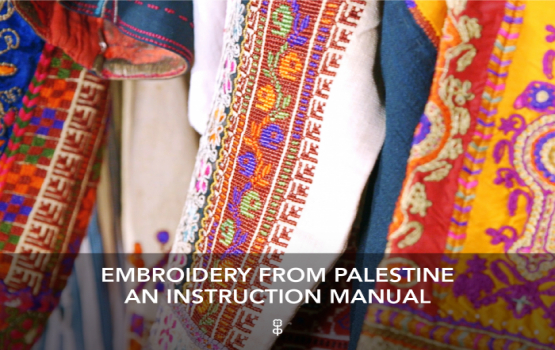 Sunbula, established in Jerusalem in 1996, is a Palestinian fair trade organization that supports the economic empowerment of the marginalized through the promotion of traditional handicrafts. It strives for the sustainability and viability of community-based craft groups by utilizing cultural goods and traditional artisan skills as means of economic self-help and community development. Sunbula works in the partnership with small-scale producer groups across the occupied Palestinian territory and the Palestinian community inside Israel. It currently supports 24 craft producer groups, whose combined membership is over 2000 people, in the marketing of their products and the development of their capacity. Sunbula’s marketing outlets, 2 fair trade stores in Jerusalem and online shop, provide a vital source of livelihood to hundreds of families. Women, refugees, people with disability, small-scale farmers and members of minority groups support themselves with income generated through Sunbula and benefit from its product development training and capacity-building support on an ongoing basis. Sunbula also strives to preserve and revitalize the cultural heritage of Palestine through research and documentation of disappearing techniques and incorporating them in today’s craft production. Sunbula is Arabic for ‘spike of wheat’, the flour that makes bread, symbolizing the source of life. A member of the World Fair Trade Organization (WFTO), Sunbula is committed to upholding fair trade principles and standards. - Experience in creating sustainable income-generation projects where they previously did not exist: Haneen Project, Balata refugee camp in Nablus (2007); Jewelry-making at Beit Doqu Development Society, Beit Doqu village (2010); Women’s Program Center, Amari refugee camp, Ramallah (2010); Tahaddi, a project of Bedouin Silver Tent Association in Al-Khan Al-Ahmar area (2017); Khayma 35, a project of Bedouin Silver Tent Association in E-1/Area C near Jerusalem. These groups have been supporting tens of women and families through Sunbula’s marketing on a regular basis. - Specialization in product development: Product development requires a set of professional expertise, including pattern-making, knowledge on materials, production tools and equipment, costing, familiarity with local craft traditions, and an artistic taste for design. Sunbula provides this costly process that requires hiring of designers and investment in raw materials and labor, as most craft producer groups do not have means to afford it from own resources. - Proven ability to ensure the economic viability of its partners through the marketing at its fair trade stores: Sunbula’s partners have a distinct advantage over the majority of craft producers in Palestine with the guaranteed, ongoing access to market provided through Sunbula’s long-term commitment. - Fair trade practices that maximize the financial benefit of the producer groups: Sunbula purchase the products of its partners with a fair price, which ensures fair payment to the artisans and sufficient overhead coverage for the producer groups. Sunbula also assists its partners in the costing process to help them achieve the fair pricing. Sunbula makes upfront payments to its partners, not consignment, in order to support their financial security. How does Sunbula measure impact?